Pan De Oro Tortilla Chips > Noteworthy > Check out our new YouTube Video! Check out this video of our production process. 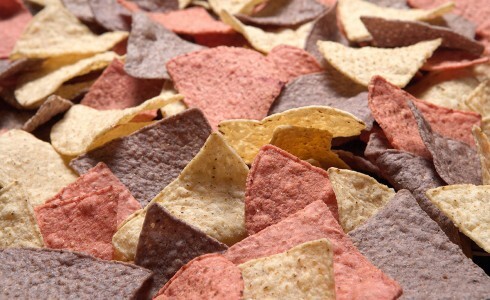 We’re making our favorite item – the Red, White, and Blue tortilla chip! Note that we get our blue color from 100% blue corn and the red from beet powder. We use nothing artificial. Click Here: Pan De Oro Chip Co. – How They’re Made! Thank you Adam Tulloch for the videography!